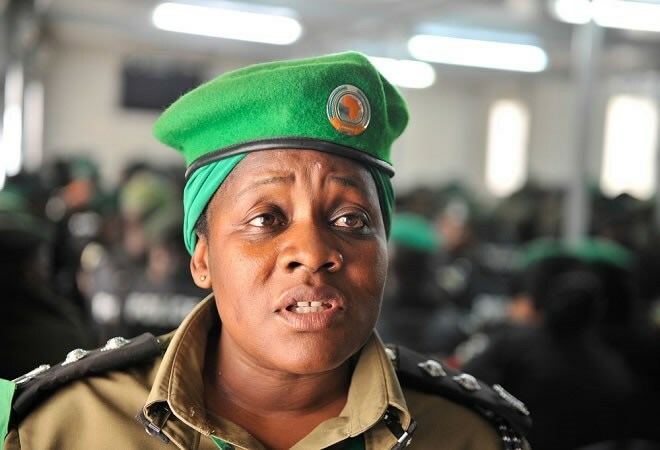 KAMPALA – Police spokesperson, Fred Enanga has Monday afternoon confirmed that Commissioner of Police (CP), Alalo Christine, who was working with AMISOM, as the Acting Police Commissioner is among those killed in the Sunday Ethiopian Airways tragedy. Mr Enanga said the officer was returning from Italy to Mogadishu, Somalia and was one of the victims in the Ethiopian Flight ET 302, which crashed on Sunday killing all occupants aboard. In a statement released Monday afternoon, Mr Enanga wrote that the IGP Okoth Ochola has shared the sad news with the immediate family members of the fallen officer. This website has learnt that IGP Ochola has since created a task team headed by the Director Peace Support Operations, AIGP Grace Turyagumanawe, to coordinate with both, the AU Headquarters and Ethiopian Airlines to ensure the remains the fallen officer are traced and transported to her family in Uganda for burial. At the time of her death, CP Alalo was serving as the Acting Police Commissioner, AMISOM, and her tour of duty was expected to end in June 2019. Ms Alalo joined the police as a Cadet/ ASP in August 2001 and served in various capacities of command. She is survived by two sons, Emmanuel and Alvin. Recovery operations were underway near the crash site around the town of Bishoftu, which is 60km (37 miles) south-east of the capital.